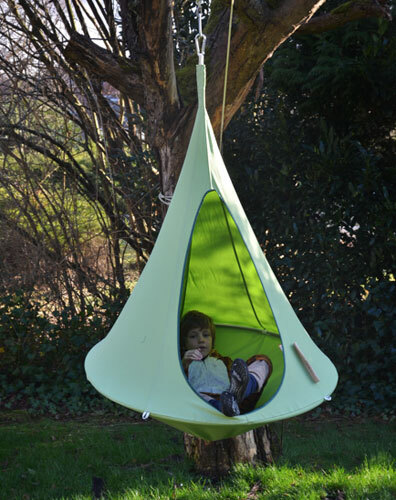 This looks so much fun – but the Cacoon Bonsai hanging chair is strictly for children. 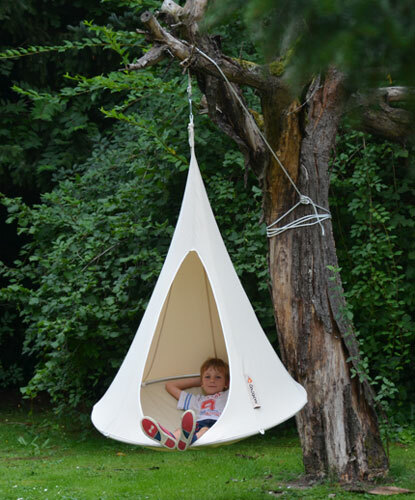 Available in various colours and ideal for a child’s bedroom or outdoor use (it is water and sun resistant), it’s a ‘hangout space’, a place to relax and a place to have fun. The modern day den if you like. 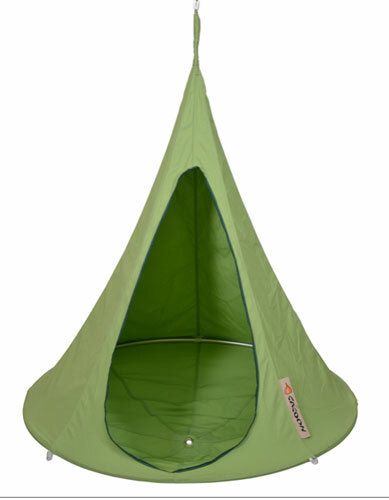 But a den built for one. For reference, it is made of cotton and polyester, with an anodised aluminium ring holding the rope. All colours are priced at £166.